Back in the days when I was teaching Physics and Chemistry, I always observe that using interactive simulations can bolster my students' interest in the lessons. Using interactive simulations, students can understand hard to grasp concepts because they can manipulate the objects and values of the force, acceleration or the number of moles and see changes instantly before their eyes. Searching for the perfect simulation can be a daunting task especially for teachers who are not familiar with SWF files or with JAVA since those are the two most common technologies used for making and playing interactive simulations. 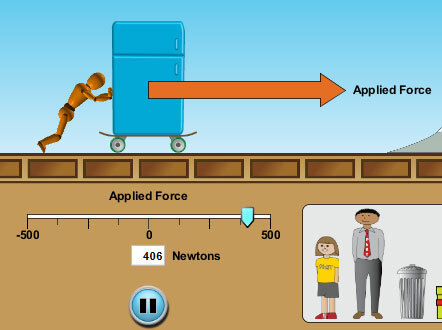 Thankfully, the University of Colorado put up free interactive simulations for Physics, Chemistry, Biology and Mathematics through its PhET program. You can browse their interactive simulations from their website or download all of them using the links below. As someone who've used a lot of these interactive simulations, I can confidently say that PhET provides the best interactive simulations out there. These simulations are research based and has undergone testing. Some of the simulations that I've used are the projectile motion and 3D molecular structures.